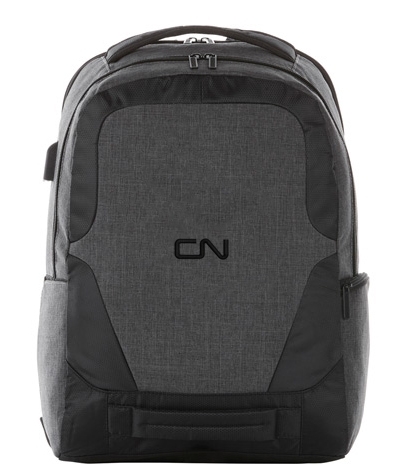 This Computer Backpack w/ USB Port makes traveling easier with a TSA computer compartment that holds up to a 17 inch laptop. A USB port and cable, which are included, allow you to charge your devices inside your bag with a power bank for seamless charging. 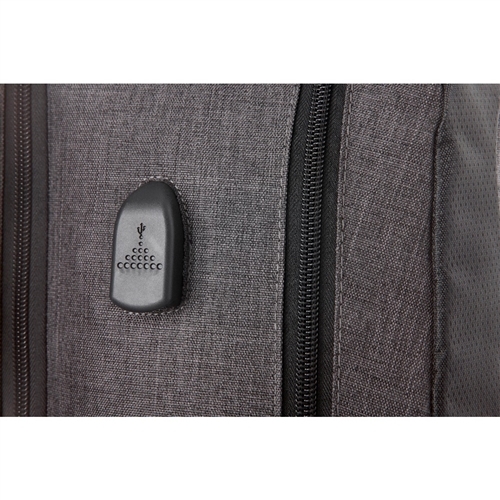 Top and front grab handle, side zippered pockets and back strap for carry on. Beautiful graphite color with padded back and shoulder straps.